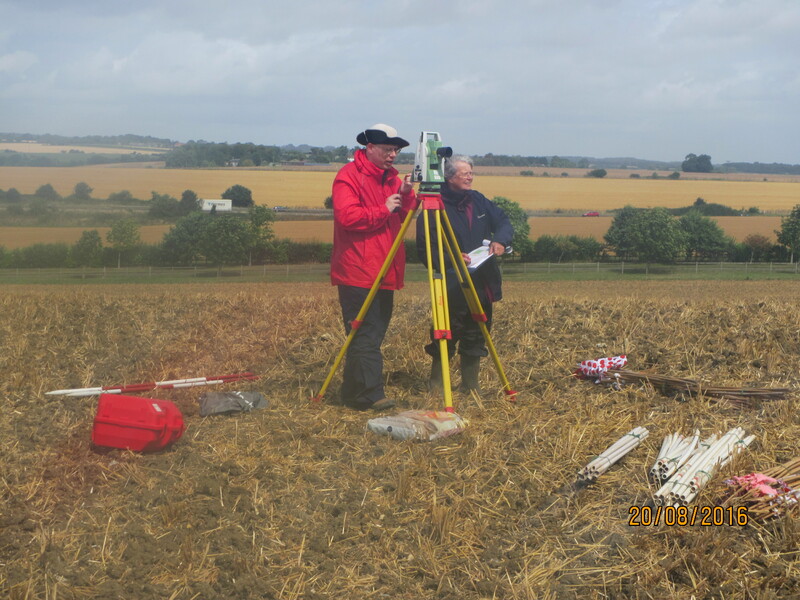 And we are off……………………………………….with Steve Clark and Janet Firth on Total Station and Richard Miller on gradiometer! Great strides all round with half of the gridding out done and some geophys to boot – despite some heavy and blustery showers. Thanks to all who made such a good start today. We hope to finish the gridding out tomorrow with more geophys if it’s not too wet. 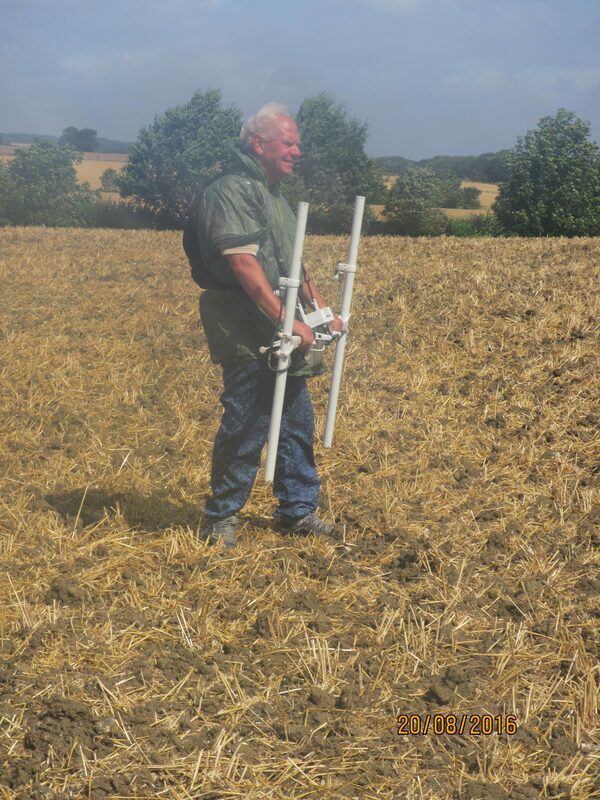 If you want to join in this HLF community dig, please contact joy@appleton.uk.net – you don’t need previous experience, training is given on site by a professional company, Cotswold Archaeology.